Before diving head first into the holiday season, plan a quick getaway to relax and enjoy the final weeks of the season. It seems that most of the US had a somewhat late summer this year which means the fall leaves are appearing and sticking around later than usual. Thanksgiving is a month away and it starts the insanity that is the holiday season, but not if you start preparing now! In the meantime, give yourself a break by taking a quick trip away from everyday life. These five destinations have a mix of warmer and colder fall weather but each is a strong contender in its own right. From New England to California, whether you have a regular weekend or a long weekend, these are worth a fall getaway. As long as US cities are part of the list, I will never not have Boston included in a round-up for fall travel. Boston is the epicenter for New England travel in autumn and for good reason. The foliage is gorgeous, especially in the Boston Common and along the esplanade on the Charles River. While you could spend weeks in Boston, it’s not hard to tackle within a few days. I only had two days and an extra morning on my recent trip but managed to explore Beacon Hill, the Back Bay, North End, and visit the JFK Museum. Because there’s so much to do in Boston, it’s a good idea to map out an idea of what you’d like to see. A few of my own personal recommendations...Beacon Hill, the North End, and Copley Square. If you have an extra day to meander about, head to Cambridge or Salem. There’s plenty for a day trip out of the city proper and even more fall foliage which is never a bad thing. For a fall getaway that also features a beach, Charleston provides an old world feel with warmer temperatures. October and November range from mid-60s to 70s on average which is perfect for anyone warm blooded. Charleston is full of photo opportunities from the famous Angel Oak Tree to the Old Village, the beaches to the plantations. Browse the dozens of vendors at the Charleston City Market, dine at some of the best restaurants in the south, and tour historic homes and sites. Charleston is a great long weekend getaway destination and you’ll be happy that your suitcase is a little lighter without the heavy knit sweaters. This may be biased considering I’m a born and bred Chicagoan but Chicago happens to be one of the prettiest cities to visit in fall. More than being pretty, the energy is almost feverish this time of year. Fall is a delicacy to Chicagoans considering it’s more likely to go from summer to winter in the blink of an eye. Patios whip out bonfire equipment and you can actually enjoy the food you eat while dining outdoors. This year we’ve been lucky though with a decent number of fall-like days. While the 50s might be brisk for some, a puffy vest or chunky sweater should keep you comfortable. Walk through Millennium and Grant Parks which are magical with the bountiful fall leaves. Stroll down Michigan Avenue to do some early holiday shopping. Head to Lincoln Park Zoo where their harvest festival runs into Zoolights. Get views from above at the 360 CHICAGO observatory and dine on the best seasonal cuisine. Make sure you check out our fall guide to Chicago for more ideas including where to keep warm. There are two words for why Napa should be on every fall travel list: harvest season. The vineyards look like paintings. The weather is gorgeous. The wine is ever flowing. Depending on when you travel, there might be harvest festivals and events to take part in. Schedule a few days of wine tasting, a chef’s table dinner, and before heading out treat yourself to a spa day. Napa is known for luxury and indulgence so revel in both while there. 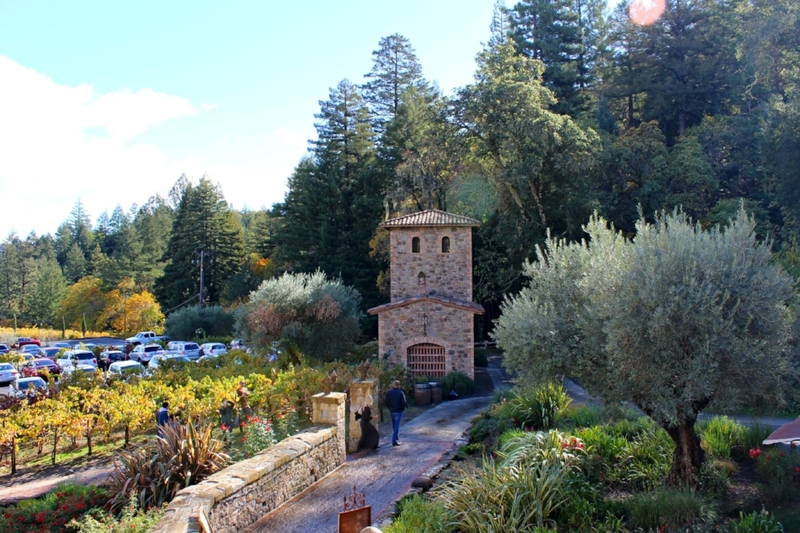 A few particular wineries I can recommend include V. Sattui Winery which has a Tuscan vibe, Castello di Amorosa which feels like a French chateau appeared in California, and Andretti Winery. Normally I visit the Dallas-Fort Worth area of Texas in the fall but I imagine San Antonio would be gorgeous this time of year. For starters, November and December feature average temperatures from the mid 60s to 70s. I can’t be sure if the leaves change color much in San Antonio but if they do even a little, I can tell you it would be downright gorgeous especially along the riverwalk. San Antonio is easy to tackle in a long weekend. Start by exploring the riverwalk where you’ll find everything from gelato to Tex Mex cuisine, small boutiques and markets. Venture up river a bit for brunch at Supper in Hotel Emma before walking around the Pearl District for a leisurely afternoon. See history at The Alamo which can be tackled in an hour or so and take a tour of the Missions which are a bit spread out but worth a visit.